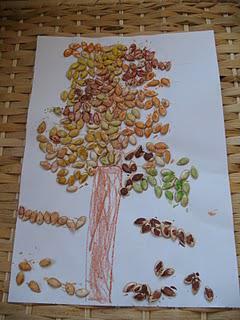 We made a lovely autumn tree collage with some seeds this week. We used butternut squash seeds which we scooped out, washed and dried but you can also use pumpkin seeds if you'd like to. 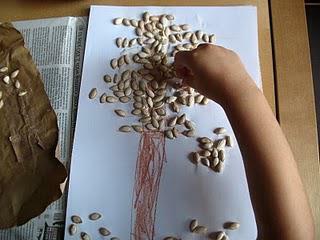 Defne drew a tree trunk and branches on the paper using her crayons and then glued the seeds on the paper. We then had a look around the garden talking about all the change the autumn brings and then she painted the seeds using watercolours. 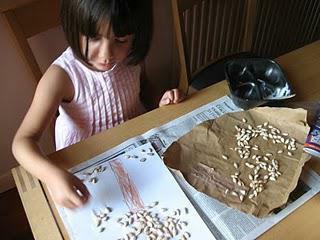 She enjoyed this a lot which makes me think the we will dry loads of seeds this winter to put them to good use!